South Devon Choir is having a fund-raiser to help with staging the Verdi Requiem in July 2016. 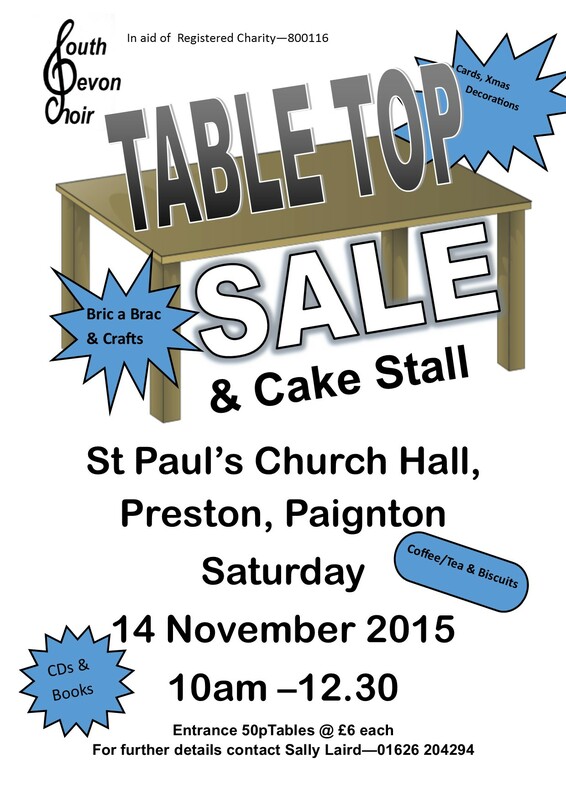 The Table Top Sale will be held on Saturday 14th November 2015 from 10am until 12.30pm in the Church Hall at St Paul’s Church, Preston, Paignton. While you are with us why not have a cup of coffee or tea and a biscuit and perhaps a slice of cake? Bring a friend, bring lots of friends! Entrance is just 50p and who knows what you could find?